Sauber drivers Felipe Nasr and Marcus Ericsson hailed a 'great day' for the squad as it strengthened its position in the Constructors' championship with a double points finish. Nasr placed eighth and Ericsson rounded out the top 10 to add another five points to the 14 which Sauber scored in Australia, leaving the team in fourth place in the table. 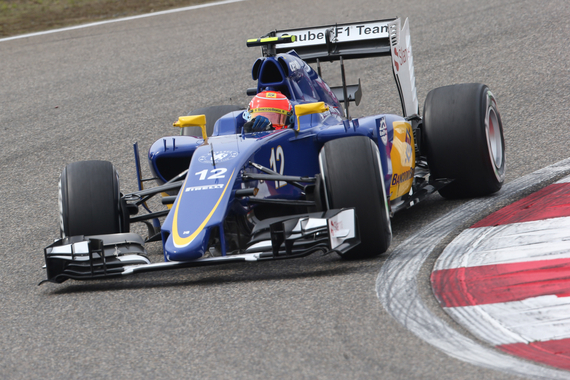 "It was a great day for the team, as both cars scored points," said Nasr. "I am very pleased for everyone. It was not an easy race for us, we were fighting against Lotus and Toro Rosso, and they seemed to have a better pace than us. For myself, I extracted everything I could from the car and also the strategy, so we can be satisfied with this result." Ericsson was pleased with his result despite admitting that he struggled with his front tyres for the duration of the race. "First of all, another great achievement for the team," he said. "Our target was to get both cars into the points, and in the end we managed to achieve that objective. "My race was quite tough with a lot of fights all through it. I hoped our race pace would have been a bit stronger. I was struggling a bit to get the front tyres to work properly, so I could not maintain the pace the way I wanted to. "Nevertheless, there were some great fights out there. I think I had a good race, and I am really happy to have finished in the points."